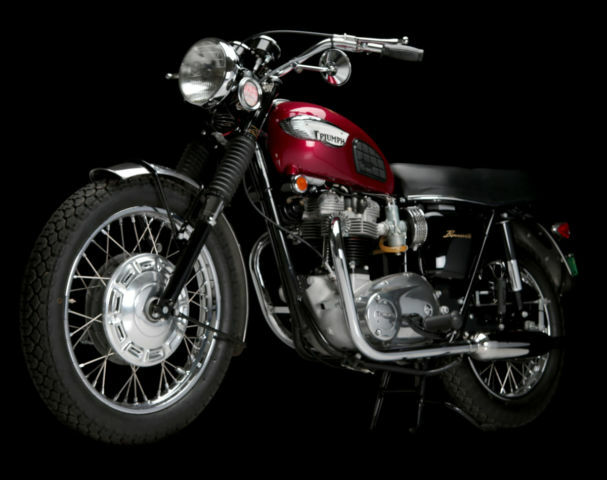 Restoration Cycle Works is proud to present this outstanding example of a 1968 Bonneville restored to factory-correct concours condition. 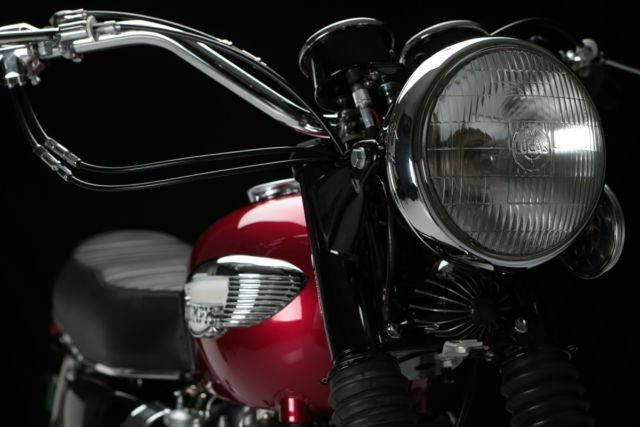 This particular example has won numerous awards, including "Best in Show" and "Best Restoration" at Ace Corner at the 2014 Barber Vintage Festival. 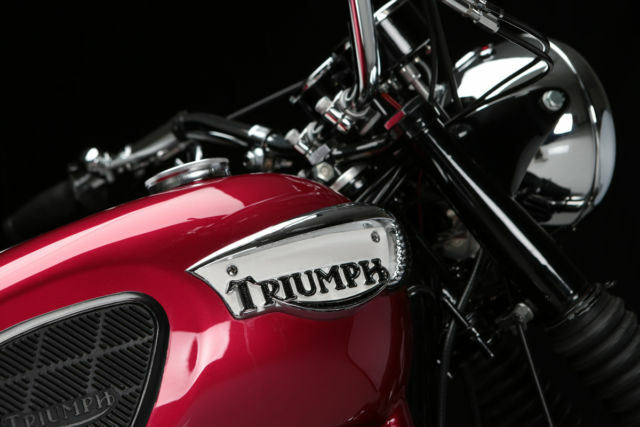 It will also be featured extensively in the forthcoming book "The Complete Book of Classic and Modern Triumph Motorcycles 1937-Today" by noted author Ian Falloon. 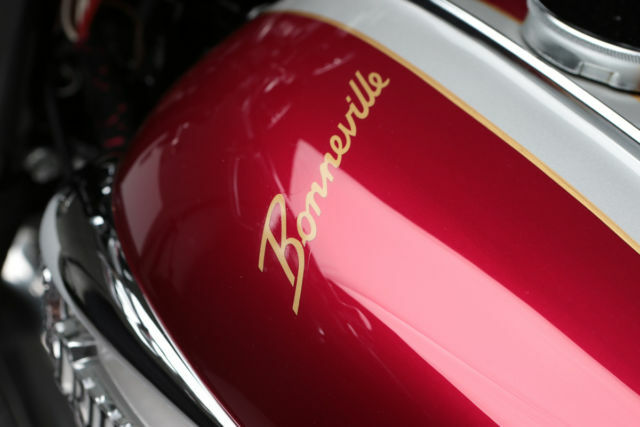 Just about every motorycle we run across these days is represented as being "restored." 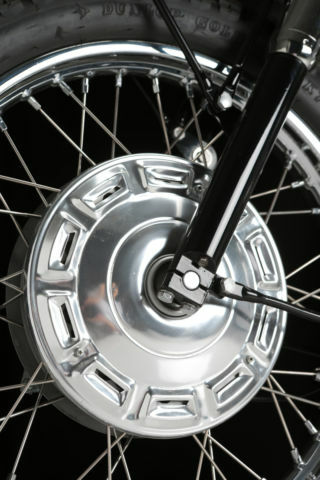 In some cases, that means the bike was running when parked in 1986, and has been recently rinsed with the garden hose. 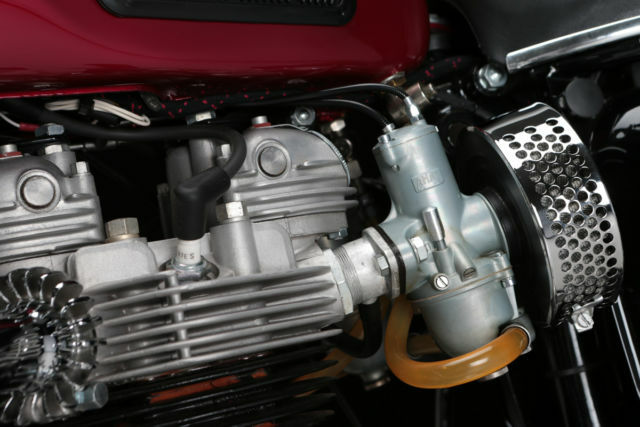 In most cases, it means the bike is now running poorly on old gas after having added Japanese carbs & components that span years and manufacturers. I've learned this craft from the best - Don Hutchinson, Jay Medeiros & Choppahead, John Healy, Ken Grzesiak, David Gaylin, Lindsay Brooke, Bill Hoard, Ron Finch, and a handful of others. 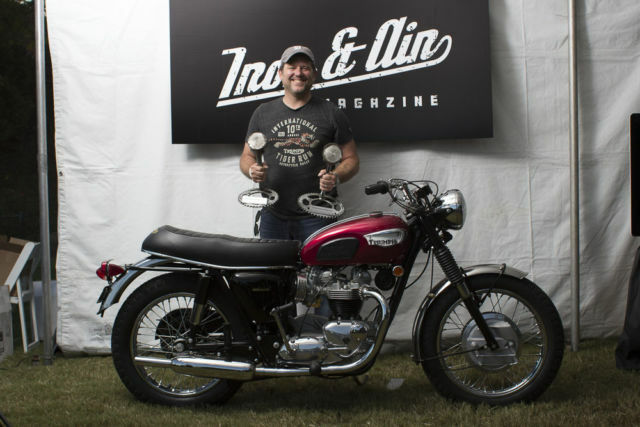 My Triumph restorations regularly win shiny trophies and are featured in the pages of fine magazines and books. 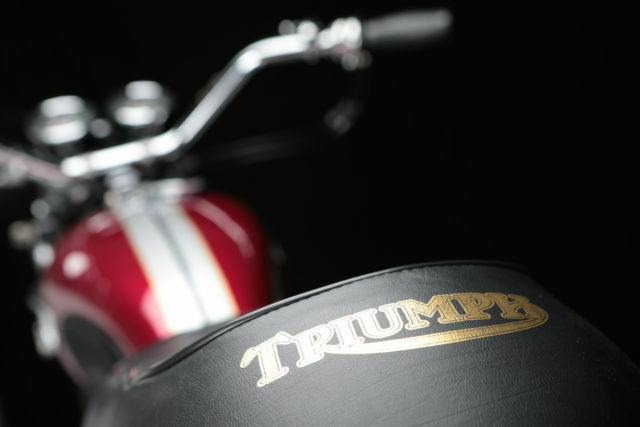 We're proud of our work, and offer only the best in the world. 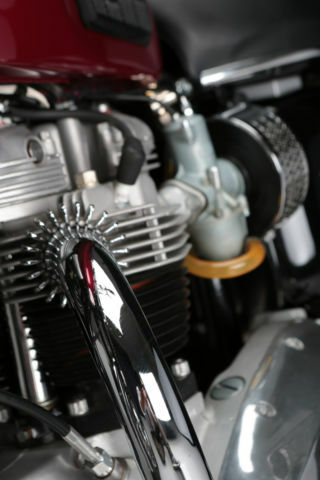 - Engine disassembled, cases degreased & blasted, sludge trap cleaned, new bushings, bearings, pistons, rings, valves, guides, clutch basket & plates, rotor/stator, primary chain, & gaskets. All other internal parts degreased, cleaned & replaced as necessary. 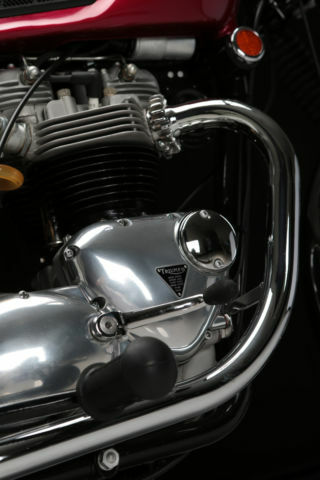 - All black parts powdercoated, many chrome parts re-plated including original Amal components, controls & Lucas headlamp, all hardware cadmium plated, all aluminum parts hand polished. 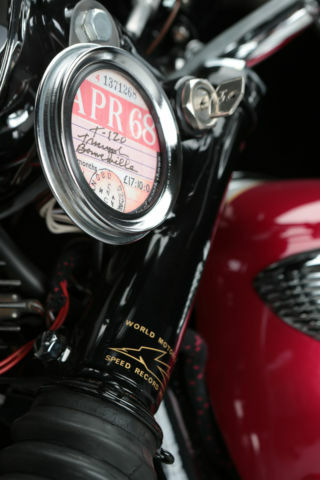 - Paint is the correct Hi-Fi Scarlet over a gold base, Silver Sheen center stripe, hand-striped gold by Don Hutchinson Cycle and featuring a correct "World Speed Record" and many other waterslide decals. 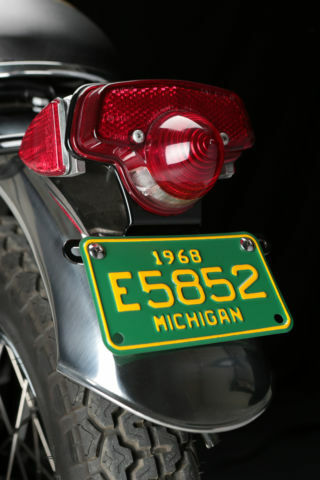 Tank badges were also repainted according to the originals which featured a plain chrome "shelf" on top of the letters, with paint subtly seeping into the seam. 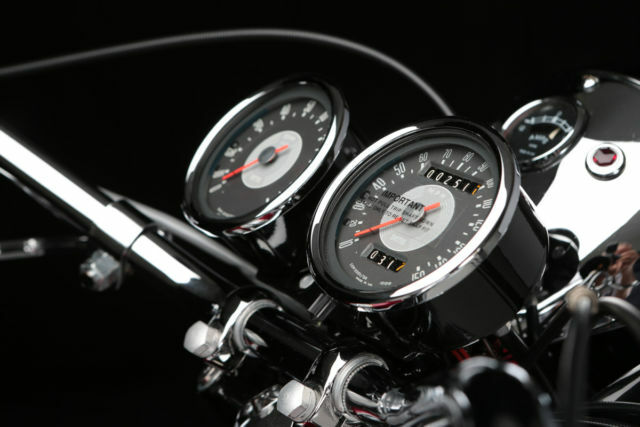 - Original Smiths gauges rebuilt by Nisonger Instruments of New York. 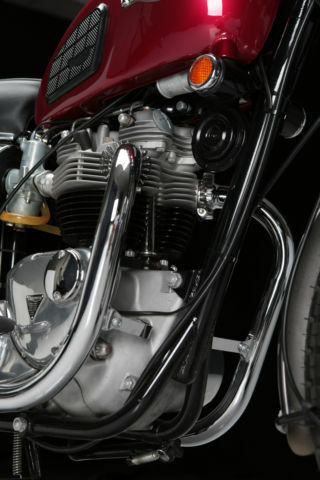 - Many rare, original parts adorn this bike, including the 12V Lucas Ammeter, NOS bakelite Champion WC548 plug caps (not pictured but since installed), Bradley shock absorber bolts, NOS Wilmot Breeden lockset with Union key (not picture but since installed) and more. 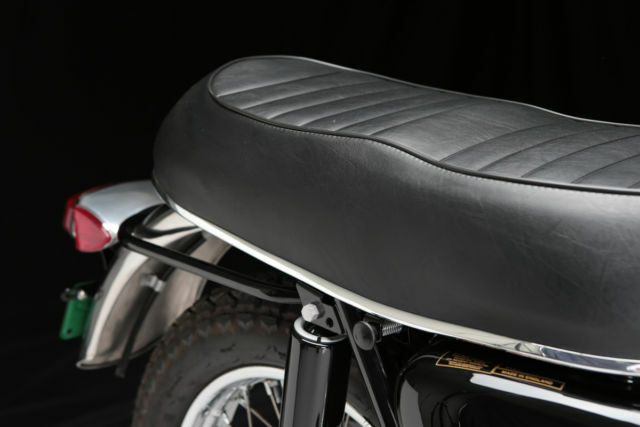 - A correct seat cover has been fitted, along with the hard-to-find black trim, and the correct gold 1968 Triumph logo has been affixed. 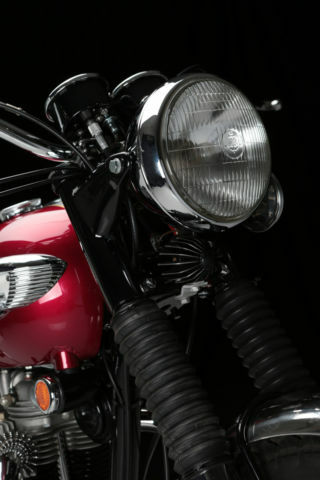 - Electric components have been replaced or restored, including a proper cloth-wrapped wiring harness, Lucas horn & taillamp assembly with L679 lens, Lucas tail-lamp switch with 1968 factory stamp, horn/dip switch, headlamp switches & bulbs. 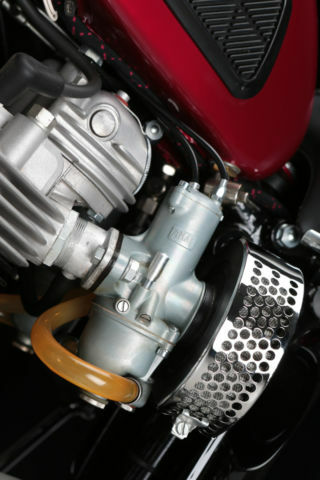 This bike does, however, feature a Boyer electronic ignition as the only significant factory deviation. 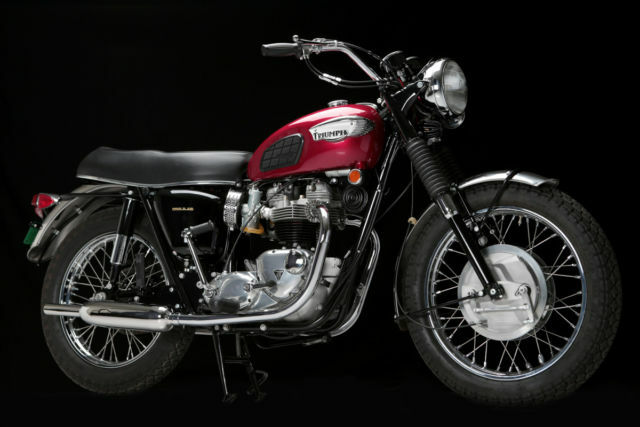 - All rubber parts have been replaced with factory-correct reproductions, including Dunlop K70 tires, rare "houndstooth" oil lines, footpegs with proper Triumph logo, and Grand Turismo grips. 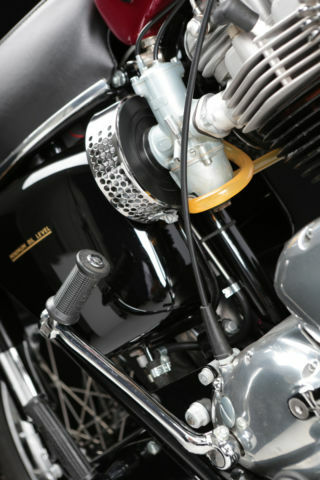 - Exhasutive list of other parts replaced, including new Amal Concentric carburetors, new drive chain, cables, speedo drive, brake, wheel bearings & stainless spokes, air cleaner assemblies, petcocks, and fuel line assembly. 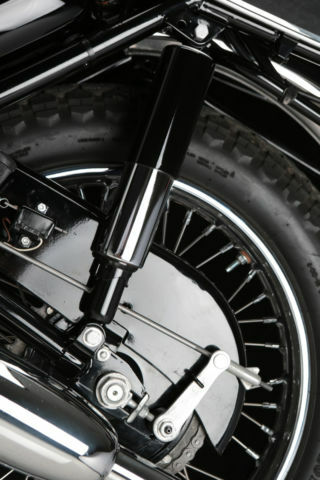 - The bike was reassembled according to factory specs, with nuts & bolts properly oriented, wiring/hoses routed properly, using John Bull-type rubber & flexible alloy ties throughout. 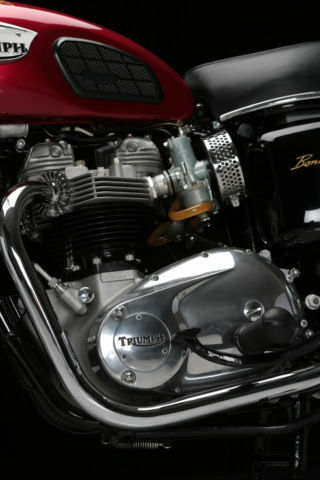 There are relatively few 1968 Triumph Bonnevilles which have been restored and tuned to this exacting level of detail. Thank you for looking, and please ask any & all questions.